Plan your Dream wedding in the city of dreams. Dream of a wedding In the city of dreams? Here’s the perfect luxurious venue list we got for your royal wedding. 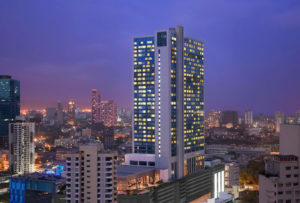 St. Regis mumbai: St. Regis is a luxurious and spacious destination for a wedding with proper amenities. 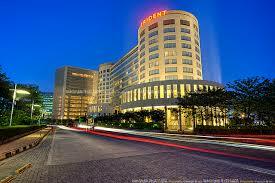 With terrace halls, banquet halls, and 5star hotel services, it is the preferred choice for luxury wedding in mumbai. There are various halls in the destination which can be used for varied wedding rituals and the elegant interiors would add to the luxury and charm of the wedding. The Leela: The Leela offers the 5-star services to each of the wedding guests and makes the wedding ritual a pleasant and happening one. Various halls are available, whether you want for a lavish wedding or an intimate affair. 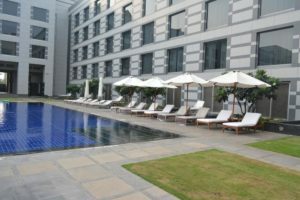 The Leela provides elegant rooms for all the guests and makes sure they get the 5-star services. 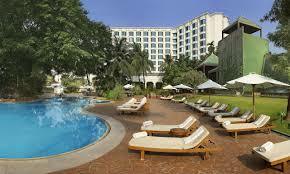 The Leela is loved by the people who desire luxury and royal wedding. 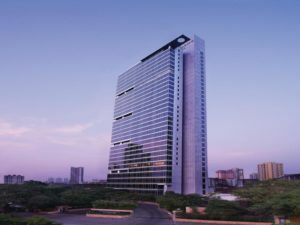 Taj land ends Bandra: Every time you hear royal and lavish, Taj comes to the mind. This is how reputed the venue is and not only that, it offers plenty of space for the lavish wedding. The halls will make the wedding occasion look ravishing. The couple will not feel lesser than a Royal one. 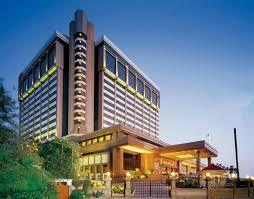 Grand Hyatt: This is the enormous venue that makes the wedding a luxurious and majestic one. Royal and spacious halls are offered for the wedding rituals and ceremonies. The venue offers pleasant and scenic view to make one’s wedding look more prestigious. 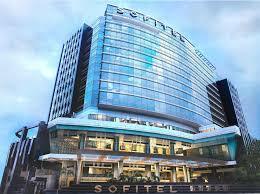 Sofitel BKC: Sofitel is a great place to host your wedding events. It offers in-house decoration and food for all the events. The intricate interiors and decor perfectly suits the royal wedding. The luxurious rooms and halls are provided at the venue to make royal wedding a memorable one. 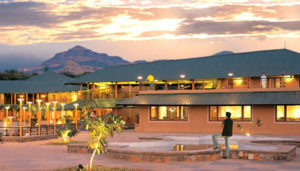 The staff ensures that the guests have a comfortable stay. The hotel serves a royal feast of multi-cuisine delicacies along with alcohol that makes the menu look like a lavish spread. 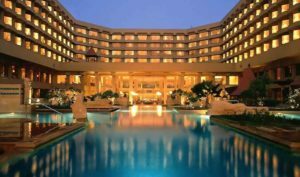 Four seasons: four seasons have an elegant decor which turns to be the best for pre wedding, wedding and other ceremonies. There are multiple luxurious party halls that can be utilised for varied wedding events. The banquets and party halls are lavish which makes the dream of luxurious wedding come true. Aamby valley city : Aamby valley city offers a wide range of venues with Various scenic view. This city offers varied venues like lakefront view, hill view, boat wedding, Benaras ghat, etc. This place offers an unique aamby valley themed wedding where the staff and managers look after the whole event. The city also offers varied flavours for your wedding cuisines. 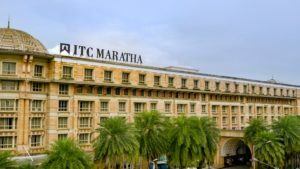 ITC Maratha, Andheri: Itc Maratha offers elegant and luxurious banquet halls for all the prewedding and wedding events. The destination offers versatile options for banquet needs. The elegant hotel interiors add on to make your luxurious wedding a majestic one. The massive rooms and enormous halls are perfectly suited for the luxurious and royal wedding.